Before I begin this channeling I would like to add a personal note about what is to occur. 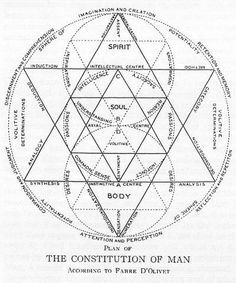 So, what is happening is that we are being moved onto another matrix, and our bodies are literally being rewired to function on a diamond grid frequency or what is known in our world as the “solomon seal” the seal which contains sacred mathematical equations which are the building blocks of our reality, a sacred mathematical equation reflecting what is above so is below, intersecting 2 “polarities” (Physical) and (Etheric). If you look at the diamond grid, the base of the structure of the diamond in the etheric looks like two intersecting triangles, it is identical to the seal of the Solomon, the formula which was used to build the Egyptian pyramids is the same as the formula for the diamond grid/solomon’s seal. As you all already know our body and our whole universe is simply a frequency a vibration of sound, through sound comes the physical aspect of being. Through sound as I am told we create matter. Up to this point our whole existence brainwave and our bodies were vibrating on the sun, fire, masculine energy scale (a pyramid pointing up) whilst the feminine energy was lurking in the shadows (a pyramid pointing down). 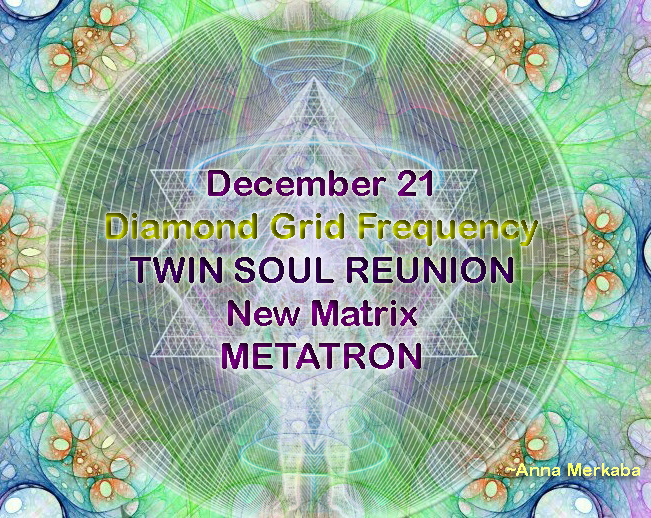 At this point of convergence, at this point of the opening gateways of December 21st a phenomenal light of the feminine and masculine energies will do a “little dance” if you will, swirling around each other in preparation for a grand merger. The merger of sacred unions on both the etheric plane and the physical plane. All of this that is about to occur is of incredible significance. There is so much meaning behind this channeling. And I will attempt to disclose all that I have been informed of. First of all the energies that have been invisible to us before, will become very evident. Finally a lot of what many have been waiting for will begin to unfold rapidly. This goes for everything that we all talk about every day. But the biggest impact will be seen in the masculine/feminine interaction. Both within each of us personally and individually and between us and others. But what is incredibly important here is that various parts of souls are going to begin moving into position of merger. As I wrote in my book Mission to Earth, there are 16 parts of the soul, which form various pairs. What we are about to witness and experience is a merging of these particular pairs which in our human understanding are “twin flames”. 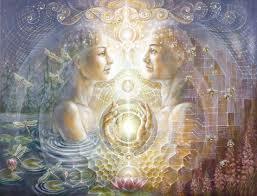 Once these “twins” meet they will form an unbreakable bond for this particular lifetime, through this immense bond they will create phenomenal energy of BALANCE integrating both polarities Feminine & Masculine. In the words of Pamela Kribbe “The male energy is the aspect that is outwardly focused. It is that part of God or Spirit that drives outward manifestation, that makes Spirit materialize and take form. The male energy therefore knows a strong creative force. It is natural to the male energy to be highly focused and goal-oriented. In this manner the male energy creates individuality. The male energy allows you to separate yourself from the One, from the Whole and to stand alone and be a specific individual. Since we all have both within us. Instead of 2 individuals meeting what we will witness is 2 pairs of polarities merging into ONE. Each one containing both feminine and masculine parts, which creates one whole. So in essence what we are seeing on “micro” level which is our human experience is the merging of 2 wholes into 1. Forming a Vesica Pisces. Which represents the coming together of 2 to create a 3rd. It is the entrance to the WOMB, and the passageway to the birth. 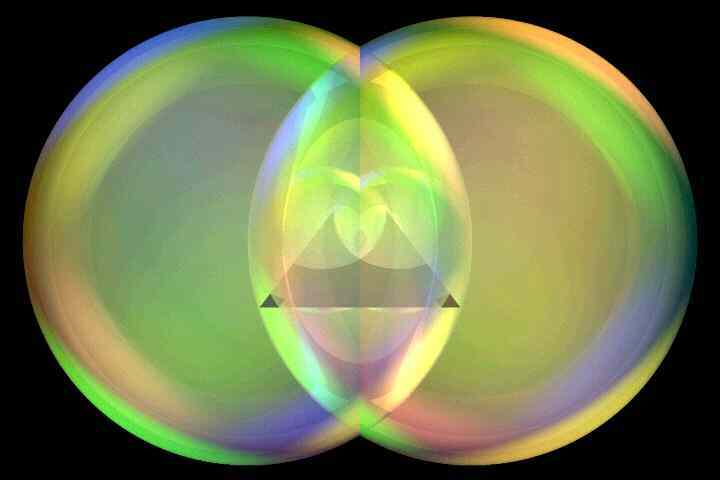 In sacred geometry the Vesica Pisces is the Universal Womb, that which births all of creation. What we are about to witness truly is a birth of a new world. All shall then be balanced and brought into equilibrium, which is precisely what we are all trying to achieve here on earth at this moment. The balance between two incredible powers of masculine & feminine energies. With the entrance of the goddess “feminine energy” which has finally arrived here on earth. With earths entrance into the photonic belt of light, with the assistance of our galactic families and the upgrade of our DNA structure, we are finally going to be able to truly and fully step into phase 2 of this mission. Phase two which I have spoken about before, the CO CREATION, RECALIBRATION, RE BIRTH, BALANCE. Arch Angel Metatron’s Disc is VERY important to have at this transitional time. If you do not yet have one, please visit : http://www.metaphysicalascensionpowertools.com/ to learn more about the power of this amazing tool! What will it personally mean to you? As many of you have found yourselves recently moving away from your significant others, your relationships ending abruptly, you changing your locations, vocations etc., ALL of this was done in preparation of what is to come and that is you being moved into position in order to finally assimilate these new energies, release everything from the past, and literally step into a DIAMOND grid, to become akin to a diamond and from there shine your light onto this world as it was meant to be shone. But, you are not going to be doing it alone, as you are going to meet the other aspect, another part of your soul (if you have not already met them) and begin to swirl in the ascending spiraling energies of eternal love and light. For those who are already with your “other half”, prior to the portal of Dec 21st you will see an increase in arguments in your relationship, where you will need to face various aspects of what is NOT working, release and let go. No matter what will come up for you in this cleansing period if you truly are with your other part you will work everything out smoothly. Even if it may seem that your relationship is about to end, it will not, and you will be pulled back to each other instantly as you have released that which was standing in the way of your final merger. Because as most of you know the twin reunion is never a smooth ride, as you both must bare all that you are, to the other, standing fully naked if you will, knowing that you must become completely free of all “impurities” that you’ve picked up along the way to this meeting, releasing and letting go of debris that are preventing you from merging together. Being with another part of your soul is the most turbulent and wondrous experience to be hold. Please understand that this is not happening overnight, it will take time for everything to fall into place, however the beginning of this great change has finally arrived, and we are ready to step onto this next phase of human advancement towards the light. As you move into your diamond grids remember how a diamond is formed, and please understand that you too will go through a similar transformation if you have not already. However, once you pass through what my beloved Metatron likes to say “a ring past not”, once you move through the void and into your diamond self you will pull to yourself all the attributes of a diamond. Which means that stepping into the diamond grid and vibrating on this frequency brings great power and responsibility to all of us who have finally opened to these aspects of our selves. And just like a diamond we shall become the purifiers on the earthly planes of existence, pushing out everything that does not belong and transforming everything into a new state of being. We are here to extract, reflect, transmute, transform, change, but most importantly BALANCE the energies. Which means that we will literally be pulling various energies our way. But just like a diamond we have come along way to be in this particular position in the universe and ascension process of GAIA. We have done it all, been it all, and have finally arrived at the point in time where we can assist others in doing the same. Therefore as you put your diamond grids on, remember your power and divinity. Let nothing stop you from achieving your greatest potential here on earth. Be the diamond that you are meant to be! I love you all incredibly much and am humbled and thrilled to be here on earth with all of you at this phenomenal transitional time in the history of this universe! Two distinct realities coming together to create one whole. In the midst of the energies swirling alongside the outer structure of the sacred geometrical pattern of the diamond’s sphere, the energy vortex is generated, vibrating the particles within the biological and etheric spheres to push out the parallel reality and the old patterns of DOing and institute a new reality structure of BEing. Two distinct realities, two distinct timelines are merging into ONE etherically whole reality forming a wormhole experience within a spherical understanding of time. The time continuum morphing in a spinning a vortex formation distributes the energies equally parallel to the outer ridges of the spherical design. Recreating the identical principles of being of the etheric nature. Recreating the structural encodings of your present reality it and restoring it to that which essentially it was meant to be. The diamond sphere of light vibrates on a new frequency. The diamond sphere of light which has transitioned from t that which it was into that which it is. Transforming into a new cognition. Transforming into a new structure, indestructible by the outside forces. Only to become stronger and more vibrant. And so, all of you are being pushed through the vortex coming to a still point of existence, and emerging on the other side of equation. Your vechiles are being etherically reengineered to pass through into the crystalline structure of being, into the diamond frequency of existence. What we are trying to say to you dearly beloveds is that you are being pushed through the ethers into a new cognitive recognition of that which you all are. All of you who have indeed volunteered to be the beacons of light on the earthly plane of existence. For we are speaking right now to those of you who have indeed been buried under the pressure of the human physical experience, diving into the darkness of yesteryear in order to emerge victorious, in order to emerge transformed gaining the complete understanding of human psyche, the complete understanding of human structure of the mind, body and soul. For the delusion that the human souls were set to experience has clouded their understanding of reality and has altered their cognition of that which they are. And so, through the diamond sphere which shall indeed form not only in your nightly skies, but be channeled through various gateways opening to you in the days to come. You shall all return to the state of etheric balance. The balance between the physical and etheric realities. You shall return to your diamond rays from which you have entered this cosmic experience. And when such moment occurs and it will. You shall finally be able to link to the etheric cognition of the structural component grids of your earthly selves and your etheric selves and bring forth the light unseen prior on your earth. Unseen prior on your earth, for your physical essence shall finally merge with the etheric understanding of being and you shall shine tremendous amount of light. Let it be known that you shall influence all who your way comes, and through the structural grids of your newly found selves you shall integrate a new reality structure of being for those who remain in the shadows of their very own selves. For you all shall act as beacons of truth, beacons of etheric harmonics which shall permeate the structural physical realities for those still stuck on the wheel of their karmic existence. For the codices of the diamond structure, the codices of the diamond equation shall form a shield around your etheric and physical bodies. A shield which no force shall permeate, a shield which shall reflect and transform the energies, amplifying them and pushing them out of the physical bodies of those standing before you into the etheric layers of their being, allowing the transformation to take on a new route, allowing the transformation of that which shall be, to occur. And with such transformation, with the forces which you all shall bring force to humanity. MUCH in your known world shall suddenly shift into a new cognitive understanding of being. Into a new cognition of that which is. For your societal structures shall begin to rapidly morph into a new state of being, allowing for much of the physical, psychological, etheric, spiritual and material reality to transform into a new set of accords. With the advance of new light energies, and encodings your world shall fully enter into a new timeline which shall move rapidly into the ethers, allowing humanity to finally step outside of the matrix of their own creation. Allowing the evolution of their physical bodies to take on a new rapid route brining them onto a fruitful commencement of communication with the divine. Communication with the world of Akash. Communication with their benevolent cosmic families. Allowing ALL to remember that which they truly are. And allowing ALL of you to merge with your respective selves who are stationed around this globe ready to begin the final merger of what is known in your world as twin souls/flames reunion, in order to establish newly found energies, newly found technologies, newly found etheric cognition to unfold rapidly in your world. This resonated so deeply as truth within me I literally sobbed halfway through listening to the recording. I have been suggesting amongst my Soul SiStars this past week that perhaps this painful “longing” we feel for our twins not of this world is the whole point. The longing I mean. Perhaps it’s a necessary magnet. And then that idea was depicted here and everything else in this channeling just resonated so wonderfully. I love synchronicity! Thank you so much for all you do and Bright Blessings.